A blog so close in heels to an earlier blog – this is a first for us! But, with our most ambitious show yet just around the corner, thoughts and ideas cross the minds of our team all the time. We channel such meandering thoughts into classified subjects on this blog. Our last one was about the script. This one is about the dance. ‘The Prophet’ (and ‘Soul Cages’ and ‘YUDH’ before this) was conceived to make a point to the audience at large that Bharathanatyam is well capable of holding anyone’s attention as good cinema is. We have also pointed out before in these blogs and in interviews that this artform is too precious to be closeted amongst the miniscule coterie oblivious of the 1.2 billion people in India at large! Bharathanatyam is not confined to dance aficionados, nor should it be the domain of any religion, nationality, gender, or age. Something as beautiful as this needs to be accessible to all. With this end in view we created choreographies around novel stories not based on any given parameter. The results validated our beliefs. 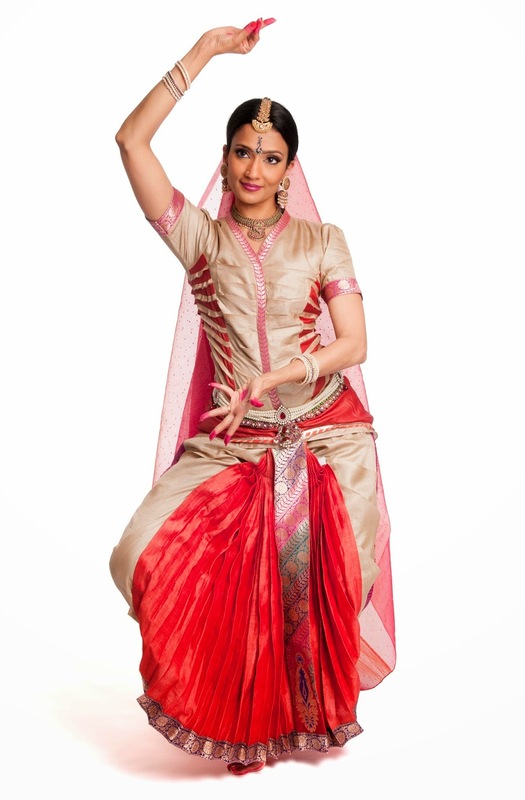 ‘The Prophet’ is a story told through the art of Bharathanatyam. It is meant to be a holistic experience and not dissected apart with the now (in)famous check-list that dance aficionados attend traditional shows with. The experience will not allow for you to pick out points such as – how much Mathematics was involved, how many jathis (specific sequences of pure dance) were executed, or what Karanas were manipulated and how! What it will do is give you an experience you are unlikely to forget in a long time. Our productions have been always a mix of dance and theatre. Sometimes, because it is promoted as a Bharathanatyam concert, the audience is surprised to see elements from dramatics in the show. In its truest sense Bharathanatyam was always meant to be dance theatre; the genesis of the word ‘natyam’ suggests that. The use of voiceovers spoken by theatre artists may appear novel to viewers of traditional repertoire; but in its original form Bharathanatyam is meant to communicate using dance and theatre. It is boundaries placed by two generations of dancers that makes it seem as though we are breaking rules. There were never any rules! In a traditional show, a ten-minute absence of an audience member does not mean much lost for the viewer. You could even arrive at the second half and be completely part of the show from that point onwards. Miss ten minutes of ‘The Prophet’ and you will lose track of the story. We promise to keep you engaged the entire time. This is not a show where we ask you to leave your brains at home, as some shows/cinema do. But, if you come with no pre-conceived notions of what to expect from a traditional concert, the show will startle you. No, we are not breaking tradition. We are re-defining it. It is easy to dismiss the whole enterprise as catering to the west. We cater to everybody – west included because we don’t believe Bharathanatyam is the strangle hold of God’s chosen few. Furthermore, if there is a positive influence on a product to be gained from anywhere, be it North, West, East, or South, we will take it. It is the audience who gains no matter what the naysayers say. Shed your notions and break open the boxes. The experience only adds. Never detracts.